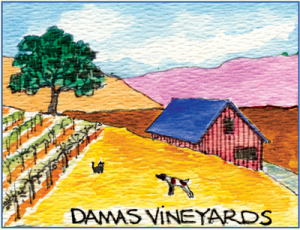 DAMAS Vineyards is located in Fiddletown, California, in one of the smallest designated American Viticultural Areas in the United States. Fiddletown is home to some of the state’s oldest Zinfandel vineyards, planted by European immigrants during the Gold Rush in the 1850s. We are a tiny vineyard in a tiny AVA. Our two-acre vineyard was planted in 1998, on a southwest facing slope that takes advantage of our warm sunny days and cool nights. Our 2,000-foot elevation keeps us above the fog and below the snow line most of the time, so we enjoy ample sunshine. Being small allows us to be very hands-on. We tend our grapes with the help of a small band of friends and family members. We use sustainable farming methods and follow organic practices, for the good of the environment, our crops and our consumers. 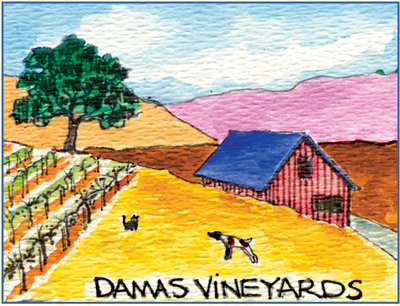 We specialize in estate-grown Zinfandel, selling some to nearby wineries, but keeping some for our own wine label. We also collaborate with neighboring vineyards in the Sierra foothills, buying small quantities of superb grapes to make sure we have some variety in our lineup. We work with talented wine makers like Tom Leaf, Mark McKenna, and Eric Hayes to ensure high quality products. And we try hard to keep our prices under control, so that our friends can afford to enjoy our wines regularly. We’d love to be your house wine.